Renaissance Healthcare and Rehabilitation Center is home to over 100 residents. Many of these residents spent years as contributing members of their respective communities, some in the immediate neighborhood. It is the mission of Renaissance to foster an environment where these residents still have the opportunity to impact the community and the lives of those around them. One way they are able to accomplish this mission is with their on-going partnership with Families Forward Philadelphia, Philadelphia’s largest emergency family shelter. Forty-eight percent of the clients at Families Forward are between the ages of 5 and 17. In the past, Renaissance’s residents have raised money to help place children in summer camp programs with their annual Dance-A-Thon, and held various fundraisers such as pin sales. Another very successful outreach is their Annual School Supply Drive. Together with the Activity Staff at Renaissance, the residents created a donation box. Previously, the box has resembled a composition book, school bus, and Pokemon Backpack. The donation box that was crafted this year was a box of “Renaissance” Crayons. Staff, visitors, and family members dropped off items in the lobby and a traveling store was made available for all residents interested in using bingo winnings to make donations. This year’s drive was the facility’s most successful one yet! On August 29th, staff and administration from Families Forward, including Jason Miller, Grace Hightower, and Della Harris, came to meet with the Renaissance residents to accept the donations on behalf of the children at Families Forward. They even brought Mrs. Montgomery County, Nikki Johnson-Huston. Residents Triphena Stevenson, Irene Austin, Carrie Steed, and Mary McKenzie were delighted to greet them and send along all of the supplies necessary for a great school year! 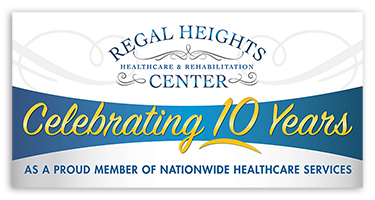 A proud member of Nationwide Healthcare Services, Renaissance Healthcare & Rehabilitation Center is a subacute care and skilled nursing facility providing the community with an array of specialized programs that include Wound Care and Pulmonary Care, as well as intensive daily Physical, Occupational and Speech Therapies. For more information and to schedule a tour please visit RenaissanceHCR.com or contact Meg Judson, Director of Business Development at Nationwide Health Care Services at mjudson@nationwidehealthcare.com.